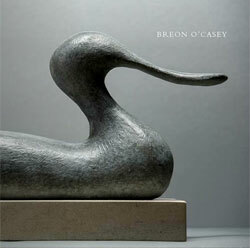 Breon O’Casey, an Anthology of his Writings, Yorkshire Sculpture Park, 2005. Selected Poems, Maurice English, illustrated by Breon O’Casey, 1991. Stars are Suns, poems by Scott Chaskey, woodcuts by Breon O’Casey, 1993. 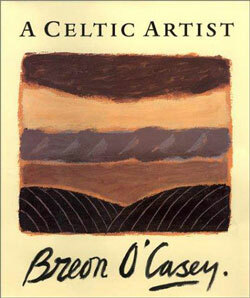 Man and Materials, Breon O’Casey, 1996. 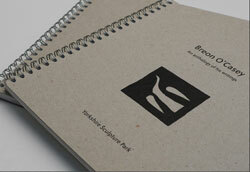 Breon O’Casey, Scolar Press, 1999. 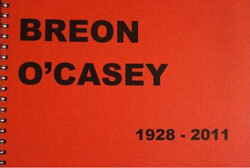 Breon O’Casey, ‘By Hammer and Hand’, Design, 1972. Breon O’Casey, ‘Weaving is Easy’, Crafts, No 30 January/February 1973. Breon O’Casey, ‘Black Comedy’, Crafts, No 52, September/October 1981. Christopher Reid, ‘Something in the Air’, Crafts, March/April 1985. Christopher Reid, ‘The Pursiut of Harmonies’, Crafts, No 80, May/June 1986. 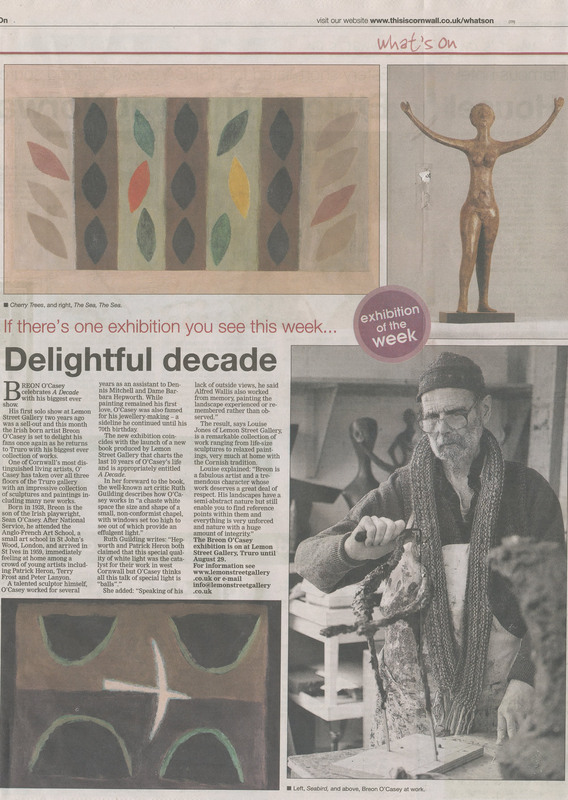 Brenda Polan, ‘A Passion for the Primitive’, Sunday Times Magazine,18 November 1990. ‘Making Faces’, Crafts, No 111, July/August 1991. 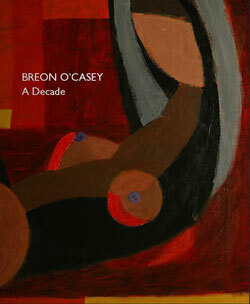 Rosemary Hill, review: ‘Breon O’Casey: New Works’, Crafts, No 109, March/April 1991. 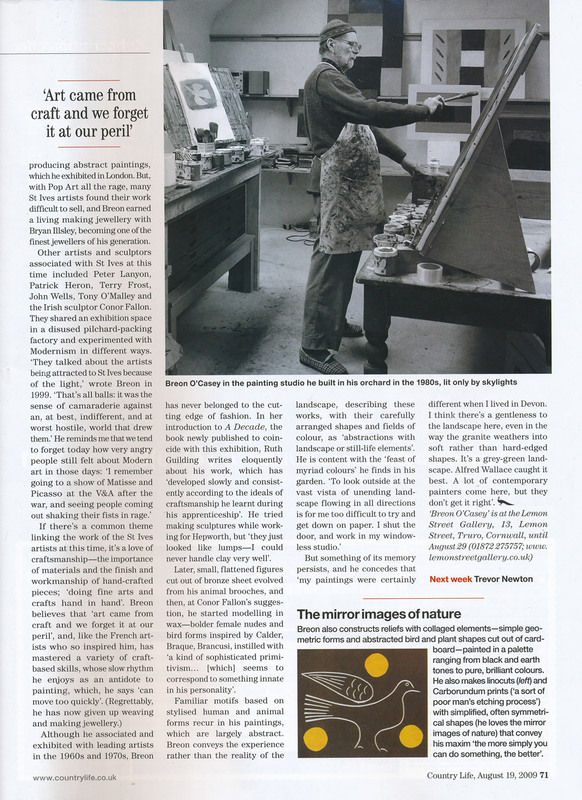 Ralph Turner, review of jewellery at Rufford Craft Centre, Crafts, No 114, January/February 1992. 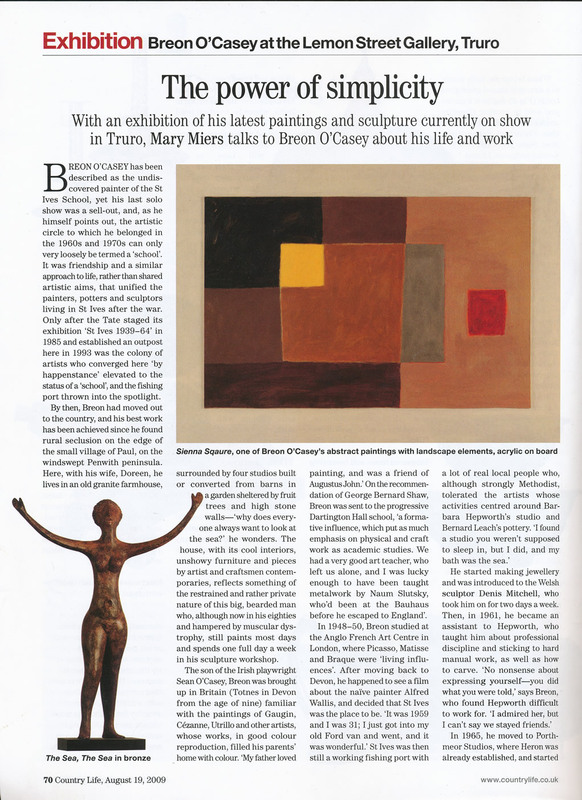 Kitty Corrigan, ‘Breon O’Casey: A Master of Arts’, Country Living, January 2002. Ruth Guilding, ‘Last Man Standing’, Modern Painters, Summer 2004.